Looking to start an underground band? Don't make a move until you've read this book! So you KNOW you are destined to rock… well you're in luck – all you need is this book! (Please note musical talent, bandmates, a car for touring, and an uncle who owns a record label might also help.) 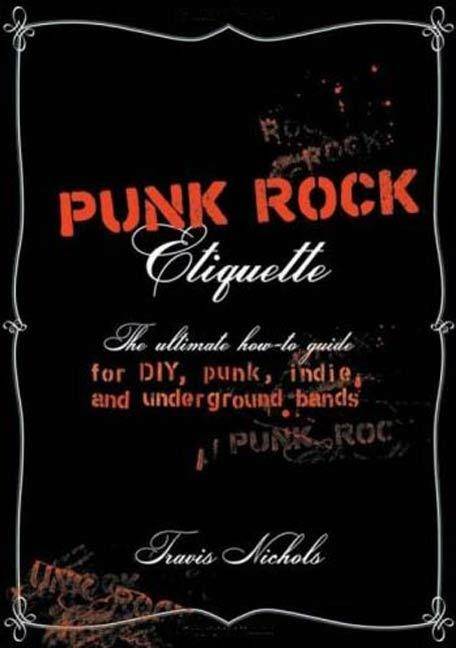 An original blend of nonfiction how-to's about all things DIY rock created by an indie-circuit veteran with a knack for hysterical snark, PUNK ROCK ETIQUETTE teaches you everything from how to pick your bandmates and choose a name (Never deliberately misspell your band's name. C how lame it lookz? ), to detailed guides on screenprinting your own merch, and interviews and advice from studio owners about the do's and don'ts of recording. 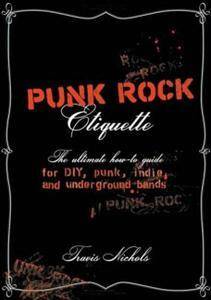 PUNK ROCK ETIQUETTE is an unfiltered peek backstage that will appeal to aspiring musicians and anyone who's curious about what goes on in the hours between the last chord and the next big show.